Made of high quality CNC aluminum. It has the ability to fit front stub axles with diameters from 12 to 25mm (1/2" to 1") diameter directly and larger stub axles to 40mm (1 5/8") for Gearbox or Shifter Karts with the extension set. The R3 Magtronic master kit is the ultimate laser alignment kit for any Karter! The Kit contains the following: •Set of Magtronic Front Lasers. •Set of Magtronic Rear Lasers. •Chain Wheel Alignment Laser ( for either 4mm or 7mm Sprocket). 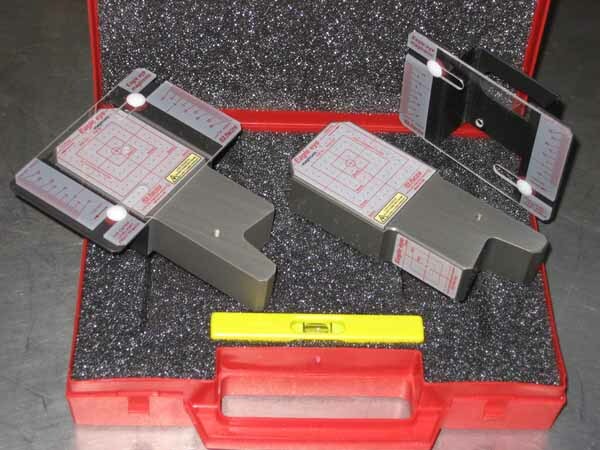 •Set of Caster Alignment gauges. •Spirit Level. •Steering wheel restraint. And of course R3 Racings easy to use manual plus unrivalled build quality. Fast fitting magnet technology allows you to square your kart in minutes. Fits onto any axle size for fast checking of bend, twist and crab. Works in conjunction with the Magtronic front units for all round peace of mind or as a stand-alone unit. 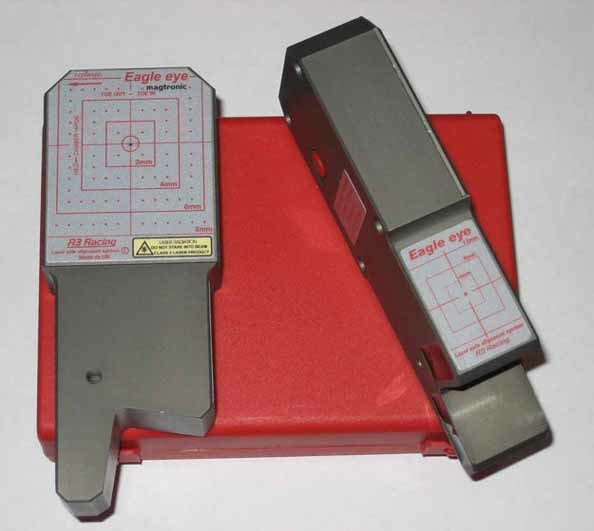 Works with all previous Eagle eye models. Fits rear axles up to 50mm.